Paradesi (“foreigner”, “nomad”), the latest by noted Tamil filmmaker Bala, is a film that’s not going to win any new converts for the director. Those who find his work to be representative of the best of Tamil cinema are going to come out nodding while those who question its merit, among whom I’m moved to classify myself, will find themselves shrugging. It’s either the next logical step in the evolution of a personal vision or the result of a filmmaker becoming prisoner of his own image. Perhaps it’s both. The title “Bala’s Paradesi”, two words that feed into each other, kicks off the opening credits, which consists of a series of monochrome sketches depicting a community of natives forced to pose for the artist. Locating Bala’s film in the representative, visual tradition, the sequence also unwittingly bestows upon its author the role of a chronicler, a mute observer and of a person in and colluding with power. In the first shot, the camera cranes down quickly from a bird’s eye view of a village down onto the ground, as though indicative of a world where God has fallen, before nimbly snaking in and out of the muddy alleys to give us a sense of life in this village. This is India a few years before independence, we are told, but the seemingly anachronistic village seems to be completely isolated from the happenings elsewhere in the country. 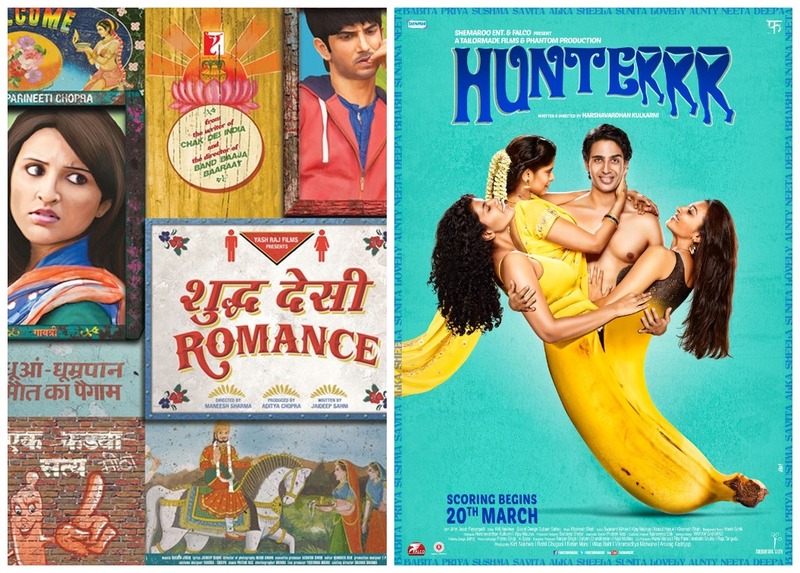 We are introduced to the local announcer and workhorse Rasa (Atharva Murali), a quasi-outcast who falls in love with an upper caste girl – a union that gets rejected by the local council thanks to his profession, which primarily involves trumpeting news of death. To marry the girl, he tries to rise above his position and find a more honorable job outside the village. By turn of events, he, along with hundreds of others from the village, ends up as a bond labourer at a tea plantation estate owed by an undesignated Briton. Doomed fatalism and an affable mythic simplicity characterize this first half, which functions as a portrait of Man’s dignity and the transformative power of love. More importantly, this section of the movie is studded with images of silhouetted bodies and huddled masses endlessly traversing through barren landscape. Human body and land – the two chief material elements of Paradesi, as much as DI-inflected brown and green are its two major chromatic elements – are in perpetual conversation in Bala’s movie. The Marxist transformation of nature through physical labour and decimation of bodies by and for the sake of land are two actions that recur throughout. The second half of the film, which bears an aesthetic and thematic symmetry to the first, comes across as something of a heightened, contorted version of the former. At the tea estate, the classified community of the village is flattened, with slavery of one person, Rasa, transmogrifying into the slavery of an entire populace. This juxtaposition is becoming of Bala’s film, which comprehends slavery less as a political phenomenon and more as a human condition. This stance enables Bala to wallow in his signature brand of miserablism, with its characteristically condescending camerawork and wailing soundtrack. For his film, slavery is a universal condition enforced upon one people by another with no room for resistance. It elides, on a conceptual level, the question that the plantation owner in Quentin Tarantino’s new film asks: Why don’t the slaves all rise up and kill the masters? (For a Hegelian examination of slavery, see Adoor Gopalakrishnan’s Vidheyan (1993).) There’s an unknowing yet eerie parallel between the idea of a group of lumpen workers surrendering their bodies to an all-powerful plantation owner on the promise of remuneration and the way Bala uses non-professionals and their bodies in his film. If Tarantino the filmmaker, like his bounty hunters and plantation owners, deals in corpses, Bala, like his many mythical villains, deals with human bodies, exotic and imperfect. (One shouldn’t jump to the conclusion that Bala, like Tarantino, is incriminating himself here. The film itself is oblivious to the similarity and the parallel is curious, at best.) Of course, I could list all my fascinations and problems with the film, but I would only be repeating myself. Bala’s method here, despite the film’s CGI-finish and surface gloss, is at times reminiscent of Third Cinema films, both in its cut-and-dried ideology and roughhewn dramatic values – broad acting, blunt satire, authorial omniscience and a superficial mythic allegory that reveals its social criticism as much as it conceals it. 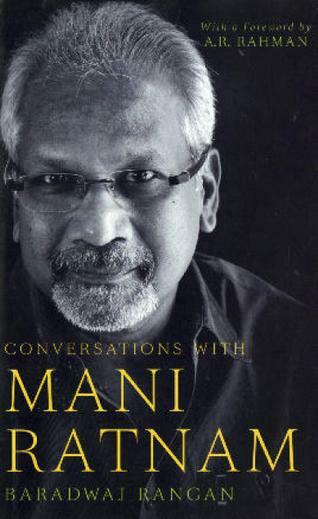 Somewhere near the midpoint of noted Indian film critic Baradwaj Rangan’s Conversations with Mani Ratnam lies a startling, self-referential moment, a moment so out of step with the rest of the book that it becomes a poetic aside in itself. In the middle of a dialogue about one of Ratnam’s movies, Rangan, with his characteristically keen eye for minor details of the mise en scène, makes a comment about the director clutching a bunch of pencils. Ratnam, perhaps as startled as the reader, asks Rangan if he’s found some deeper meaning to this gesture as well. He goes on to note that the problem with critics is that they try to find a hidden meaning when none exists. This confrontational exchange, the only moment in the entire book when the critic and director aren’t separated by the screen that is Ratnam’s body of work, embodies the central dialectic of Conversations, between a critic who sees an authorial presence, a motivation, an intention behind distinctive film elements binding a filmography and a filmmaker who considers them merely the product of logistical necessity or an instinctive thought, at best, between a professional who relies on bringing to surface structures and mechanics of films and another whose job is to conceal them. Rangan’s book consists of a set of 17 conversations between him and Ratnam that takes us through the latter’s twenty-odd films in chronological order. This conversational format, as opposed to a paraphrased version¸ has the benefit of retaining the director’s voice, with all its conceptual blind spots (this book is perhaps the best source to understand my reservations with late-period Mani Ratnam’s naïve humanism, where personal dramas are planted obliquely on topical issues, almost like an afterthought, essentially making them, despite his refusal, “message movies”) and anecdotal digressions intact, instead of glossing over gaps and presenting a smooth, monolithic view of Ratnam’s oeuvre as a fully-formed, theoretically integral body of work. It also saves the reader a lot of time since he/she can read the simple, pragmatically-worded conversations quickly instead of having to stop regularly to admire the elegance of Rangan’s typically graceful prose. On the other hand, it results in passages where the two participants aren’t on the same page, where Ratnam, neither complementing nor contradicting, unhelpfully goes off on a tangent in response to certain questions. It doesn’t help when a convincing critic opens his book with a review of his own and Rangan’s introduction to Conversations serves both as a sharp review of the material that follows as well as an autobiographical piece that details the author’s personal journey with Ratnam’s cinema and his motivations for taking up this project. In it, Rangan characterizes Ratnam as being specifically a “Madras” filmmaker – a term with both geographical and historical connotations – who, he believes, captured the sensibilities of a generation of Madras-dwelling urbanites and the rhythms of the city like no other filmmaker of the time. He also goes on to bifurcate Ratnam’s filmography into his Madras films – movies where the city and its inhabitants became the focal point – and his non-Madras films – ones where his concerns diffused and his field of vision widened. Intriguingly, on a lighter note, he points out two personal tendencies that he traces in this project: a desire as a man of science to document the thoughts of a filmmaker he considers very important in the national film scene and as a man of faith to channel the words of an artist who was a veritable god to his generation. The duality is vital here. 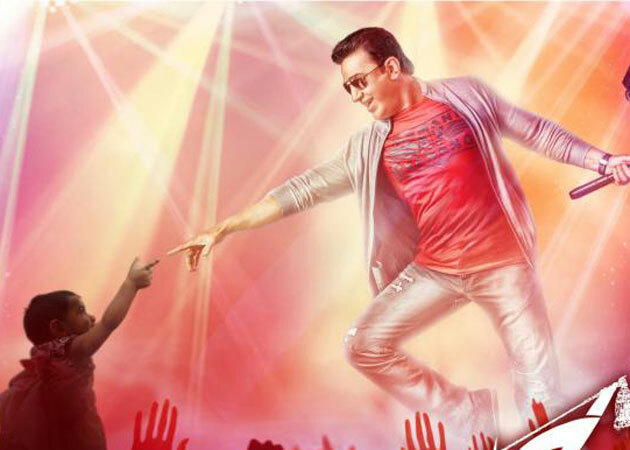 In a modest, reverential and otherwise undistinguished foreword, composer and long-time collaborator A. R. Rahman makes a striking contrast between his profound faith and Ratnam’s considered atheism after having elaborated on the symbiosis between him and the director. 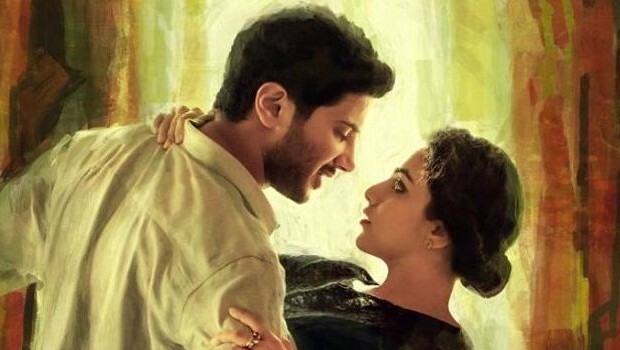 Dichotomies such as these, besides paralleling the book’s critic-filmmaker split, presage the book’s crystallization of the bipartite structure of Mani Ratnam’s films. The conversations gradually reveal the bed of binaries that the director’s films are founded on and the centrality of the number “2” in them. (Iruvar (“The Duo”, 1997), admittedly the director’s best effort, literalizes the image/text conflict that cinema itself wrestles with). They help trace this preoccupation, though not overtly, to Ratnam’s thought process as a screenwriter, wherein he eschews western scriptwriting models and instead constructs his screenplays around a single conflict involving two persons, geographies, ideologies, time-lines or emotions. Throughout the conversations, Rangan keeps tracing auteurist strains in Ratnam’s work, deftly pointing out consistencies in plotting, character sketches, filmmaking style and world view across the movies. There appear to be three typical ways in which Ratnam reacts to these critical reflections. At best, Ratnam’s acknowledges these observations with no acknowledgement. Alternately, he would downplay Rangan’s remarks with peripheral comments that replace artistry, voice and authorial intention with accidents, logistical and functional necessities. At worst, like John Ford, he plainly denies the obvious. (Case in point, his denial that Laal Maati (“Red Earth”), the name of the tribal village in Raavan (2010), has no Maoist undertone is so moot that one is tempted to doubt the truthfulness of his other statements). Ratnam’s modesty here is, in turns, gratingly vehement, as when he extensively uses first person plural or second person for explanation, and gratifying, especially the manner in which he avoids people politics and convenient namedropping. But the most fascinating and, perhaps, the most important aspect of Conversations with Mani Ratnam is its unequivocal establishment of the director as a mainstream filmmaker. Neither does Rangan picture him as a “middle cinema” auteur straddling arthouse and grindhouse nor is Ratnam apologetic about his status as a popular filmmaker embracing all the conventions of the industry. (The latter uses the word “product” five times in the book to describe finished films). The conversations explore in detail Ratnam’s grafting of personal stories on tried-and-tested screenwriting tropes – familiar character arcs, interpersonal relationships, the mid-movie interval and devices for moral justification – that Rangan characterizes as a flirtation with melodrama and casting tricks (Ratnam’s fine point about casting famous faces for minor parts to do away with the need for building an emotional connection from scratch and to harness their screen legacy warrants further analysis). Most of all, Ratnam’s opinion of songs in Indian cinema as powerful, mood-enhancing trump cards that give the filmmaker the freedom to take to poetry, abstraction, secondary narration and cinematic experimentation makes for a strong counter-argument to the line of thought that advocates abolishing this tradition as the first step towards a better cinema. At first glance, Roland Barthes’s Camera Lucida (1980/1981) appears to be the sort of material the author of Mythologies (1957/1972) will blow a hole through. Part a study of the nature of photographs, part a work of commemoration of the author’s mother, Barthes’s final book hovers frighteningly close to what, in his early years, he had deemed to be an act of bourgeois mythmaking: stripping a decidedly historical phenomenon of its sociopolitical traces and presenting it as an undisputable truth, a ‘nature’, a human essence. True, Camera Lucida finds Barthes’s interest turning away from the historicity of photography to its metaphysics, from the question of how a photograph signifies to what it represents, from a near-scientific system of classifying images to unwieldy pseudo-theory of the photograph, from the idea of signifier and signified to the material referent itself. (This sharply defined arc, in fact, follows closely the trajectory taken by critical theory itself.) Barthes himself makes no effort to underplay this recantation (“…a desperate resistance to any reductive system”) and keeps undermining any approach that could lead to the formation of a totalizing framework like the one proposed in that early book of his. 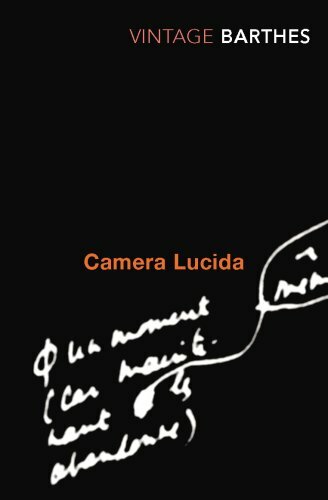 Camera Lucida, nevertheless, also underscores a significant attitude that illustrates an unassailable continuity between these two books – a continuity that’s most characteristic of Barthes’s thought: a vehement resistance to ‘Naming’. Both Mythologies (“[Astrology] serves to exorcize the real by naming it”) and Camera Lucida (“What I can name cannot really prick me”) work against a culture in which tends to naturalize ideas – dominant and dissenting – and provide immunity against possible threat by naming it and defining its bounds. The crucial difference, however, is that the Barthes of Mythologies, if not a full-fledged, had his sympathies overtly aligned with the Left, whereas in the latter book, written over two decades later, he seems to be holding onto an ideological zero point. Like many critics who are disillusioned by the rigidity of narratives of the Left and the Right and their daunting tendency to pigeonhole people and ideas into stable, tractable categories, Barthes, here, seeks to find the ground for a kind of writing that can not be assimilated, so to speak, by either of these ideologies. Graham Allen, in his excellent introduction to Barthes’s works, points out that Barthes found the ideal neutral point in the figure of his own body – a site that scandalizes both the rational Left with its individualist inwardness and the moralist Right with its hedonist underpinning. Camera Lucida, perhaps also a result of his mother’s passing and his subsequent mourning, is rife with bodily terms (‘wound’, ‘laceration’ etc.) that are used not only in the evocative passages of the book, but also in association with the various theoretical terms presented. Further, Barthes extends this essential neutrality of the body to the photograph (another commonality between them being the dread of death that both invoke instantly), which, according to him, retains its wholeness, eluding the grasp of dominant forces and ultimately remaining irreducible. For him, the photograph perpetually resists mechanisms that attempt to pin down its meaning and it is in this non-thinking, non-partisan, non-determined nature (“indifferent”, “impotent with regard to general ideas”, “image without code”) of the image that its power rests. In itself, the central idea here is not entirely unheard of. Benjamin (a writer who deeply shares Barthes’s fascination with the visual) works towards a similar relationship in his Little History of Photography (1931, “No matter how artful the photographer, no matter how carefully posed his subject, the beholder feels an irresistible urge to search such a picture for the tiny spark of contingency, of the here and now, with which reality has (so to speak) seared the subject, to find the inconspicuous spot where in the immediacy of that long-forgotten moment the future nests so eloquently that we, looking back, may rediscover it.”) and Barthes himself touches upon similar notions in his earlier essay on Eisenstein. But Camera Lucida presents it in so many seemingly tautological forms, aided in no small part by the book’s structure (a string of minor theses), which prompt the reader keep shifting perspectives, to undo and redo the mental image of the ideas the book presents. In a way, then, the book itself enacts the duality that it proposes, continuously unsettling its model of the photograph – the studia that most books are – with specific, eccentric punctum-like inflections on the text. I am the reference of every photograph, and this is what generates my astonishment in addressing myself to the fundamental question: why is it that I am alive here and now? Note: There is surely something to be said about the way Barthes examines photography in opposition to cinema. For instance, his insistence that there is no possibility of a punctum in cinematic imagery, thanks to the forward-thrust of montage. I think I disagree. Going by what I understand when Barthes speaks of it, I would say that the punctum – the wounding arrow that catches one off-guard, the spark of contingency – manifests itself in various shapes and sizes in cinema. See Daniel Kasman’s writings, for instance, for the ways one can find oneself moving away from the zone of general interest – the area where films consciously work – into a field of personal commitment – that point where, perhaps, cinema betrays its photographic roots. 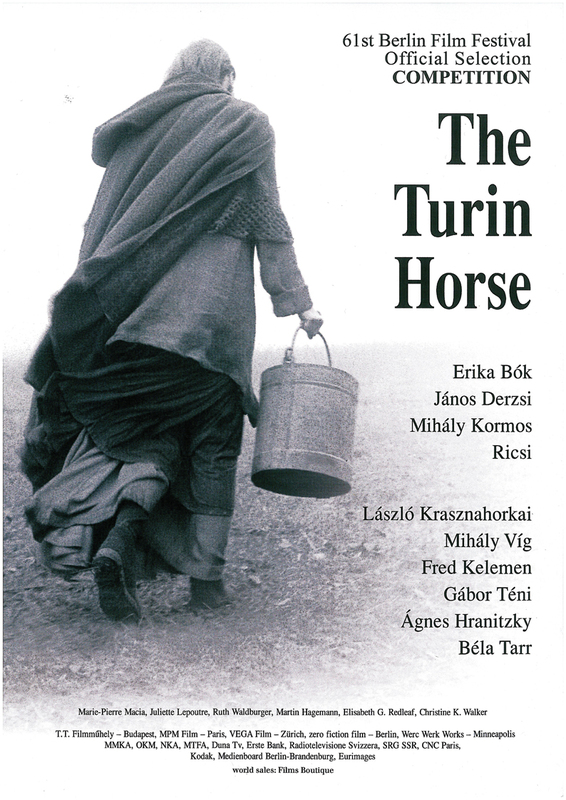 There are 30 shots in all in Hungarian couple Béla Tarr’s and Ágnes Hranitzky’s The Turin Horse (2011), 29 of which involve a moving camera and most of which are elaborately choreographed amalgam of camera movements. The first and possibly the most exhilarating shot of the film is a compounded crane and tracking shot in which we are presented with a horse cart and its driver. The dolly tracks at the pace of the cart and its craning arm films the cart primarily from two directions perpendicular to each other: a view lateral to the line of action and a view of the horse head-on and up close. (This combination of lateral and head-on angles of the camera will form a major visual motif in the film.) We see the horse pushing hard against the gale, with its mane fluttering backward. We see the man, equally haggard, with his hair swept back by the wind like the mane. We also note that, by himself, the man is static while the horse is the one moving forward and taking him along – a minor detail but also an illustration of the film’s chief theme. The equivalence between the horse and its driver becomes even more pointed as the film cuts to the second shot, where we see the man – now on foot – pulling the horse into the stable (also reiterated in shot no.22 where the man’s daughter does the pulling). After the second shot, the film shifts indoors, where the major part of the film unfolds. Inside, we follow the man, Ohlsdorfer (Janos Derzsi), and his daughter (Erika Bok, who plays a counterpoint of sorts to the character she played 17 years ago in Satantango (1994)) as they go about doing their daily work for 6 consecutive days: she gets up first, wears the countless number of clothes hanging on the wall, adds firewood to the hearth, fetches water from the well, dresses up the man, who has a paralyzed right hand, and boils the potatoes so that they can have lunch. Much of the action involves, as does the latest Dardennes feature, closing and opening of doors, necessitated by the beastly windstorm that plagues the outdoors. Their house is sparse and functionally furnished. Not only are the walls entirely unadorned, but the coating is coming off. The man seems to be a cobbler and he, possibly, sells the belts he makes in the town. The family does not seem to particularly religious. It does not have appear to any neighbours or visitors, save for the man (Mihály Kormos) who comes to their house to get his keg of country liquor filled, and the band of gypsies which arrives at their well for water, only to be shooed off by the old man. The day-to-day events repeat over and over, of course, but Tarr (Please rest assured that I’m not forgetting the contribution of Hranitzky here and elsewhere) and regular DoP Fred Keleman photograph them from different setups each day, trying out various possible configurations and presentations and as if illustrating the Nietzsche’s concept of Eternal Recurrence that informs the structuring of the film. The effect of ritualization and repetition of everyday events with religiosity is bolstered by Mihaly Vig’s characteristically organ-laden cyclical soundtrack (reminiscent of the thematically apt Que Sera Sera of Almanac of Fall (1985)) that meets its counterpoint only in the boisterousness of the winds that sweep the plain. Keleman and Tarr light and shoot the interior of the house so painstakingly and evocatively, that even commonplace objects achieve a throbbing vitality of their own. They often light overhead, as they regularly do, imparting a luminous visual profile to the characters, who now seem like spectres haunting this dilapidated house. Unusually, there are also few instances of a voice over, which is new for Tarr, which acts as like the voice of an anti-God looking over the man and his daughter during the course of the film and their eventual fall. It soon appears as though the horse (Risci) is neither at the centre of the film’s lean narrative nor at the focus of its apparent ideas. Indeed, it simply looms in the background like an unwelcome guest or an illness that is preventing the old man from riding into town to do business. However, actually, the animal not only provides a stark thematic contrast to the human characters of the film, it is at the very foundation of its metaphysics. The film opens with a hearsay anecdote about Friedrich Nietzsche. Apparently, in January 1889, when the philosopher was in Turin, he witnessed a cart driver flogging his recalcitrant horse. Nietzsche is said to have stopped him in haste and leapt on to the cart, embraced the horse and cried profusely. 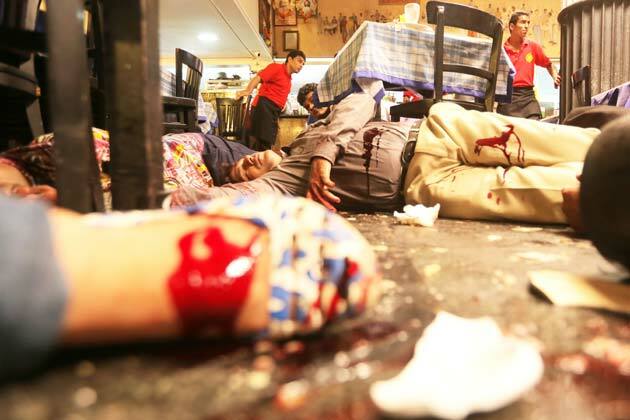 It is also said that this was the day after which he started losing control of his mental faculties. Of course, at the outset, what Nietzsche felt was simple empathy for a tormented creature, like any kind person would have. But because the person we are talking about is Nietzsche, the event holds a very special implication. What he was going through was also a sudden experience of intersubjectivity and, as importantly, the awareness of its existence. A small detour to Dostoyevsky, a writer Nietzsche deeply admired, would be instructive here. In Crime and Punishment (1865), protagonist Rodion Raskolnikov, a bona-fide Nietzschean character, is haunted by dreams of a horse being cudgeled to death for the entertainment of those around it. It is, in addition, an expression of the owner’s power over and possession of it. Rodion, who believes that certain superior individuals have the right to disregard law and conventional morality if they feel that they are doing so for a greater good, discovers here the fallacy of his worldview. Like Nietzsche, he proposes a philosophy of guilt predicated on the effect of a “crime” on the conscience of the actor and not on the acted upon. But what this idea assumes is that moral consciousness of a person is a given, fully-formed whole, independent of other consciousnesses. Rodion realizes, in this nightmare, the toxicity of appointing oneself a superordinate being, especially when the relationship is that of master and slave, owner and owned. Nietzsche, in a classic case of life is imitating art, faces the same situation at Turin. His tears are an acknowledgement of the interconnectedness of all consciousnesses, an equivalence of each one of them. The opening text of The Turin Horse tells us that we know what happened to Nietzsche after the incident but not the horse. The film’s recognition of the horse as a being as important as Nietzsche begins right there. The first image we see is that of a mare trotting against heavy wind, very close to the screen, dominating the frame – as if the camera is embracing it – suggesting its centrality to the film’s ideas. (Actually, we are never told that this animal is the same as the one Nietzsche wept for. The cut from the anecdote to the horse prompts us to assume that. This is only the first instance of lack of specificity that pervades the film.) The Turin Horse treats the horse as a fully-formed consciousness in itself – as vital as, if not more, its human counterparts – capable of understanding the world and, more crucially, reacting to it. The two human characters at the centre of the film do recognize the doom that surrounds them, but do not seem to do anything to change or respond to it. On the other hand, it is their horse that protests the cruelty of its master and offers resistance to the decay all around by refusing to eat or work. In other words, the mare seems to possess a higher degree of self-awareness than its human owners. In one shot, the camera lingers on the horse long after the humans have left the scene, with the same solemnity that it displayed towards the people in the film. It is not some overblown anthropomorphism that we are dealing with here. It is a radical decentering of humanity as the locus of consciousness. 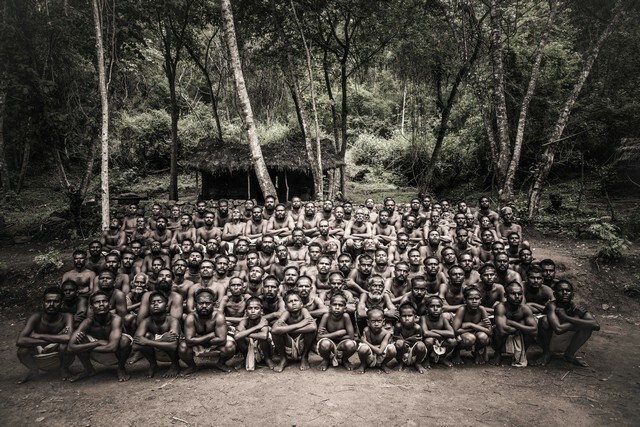 This tendency to displace humans as the centre of the universe also furthers Tarr’s and frequent collaborator László Krasznahorkai’s long-standing anti-Biblical programme. If, with the ending of Satantango and the upshot of the Nietzschean Werckmeister Harmonies (2000), the writer-director pair tried to overturn the Scripture, here they take on the Creation narrative itself. Divided into six days, which no doubt serve to echo the six days of the creation of earth, The Turin Horse chronicles in detail the progressive disintegration of the world back to nothingness before time. In this anti-Genesis-narrative, neither is man created in the image of God (one that’s not dead, that is), nor are beasts inferior beings to be tamed and controlled by man. (“Let us make man in our image, after our likeness. And let them have dominion over the fish of the sea and over the birds of the heavens and over the livestock and over all the earth and over every creeping thing that creeps on the earth.“) In Tarr’s and Krasznahorkai’s Scripture, it becomes increasingly difficult to separate night from day, the seasons from each other. (There are only two seasons in the film’s world – windy and otherwise). Beings, instead of being fruitful and multiplying, become scarcer and scarcer. Earth returns to the formless void – the void that we witness in the evocative last shot – that it was at the Beginning. One imagines that the film would agree with Genesis on the seventh day: “Thus the heavens and the earth were finished, and all the host of them”. Commentators have noted the striking silent film-like appearance of The Turin Horse. Indeed, Tarr, who has never been as metafilmic, parallels the anti-Creation narrative with a similar trajectory on the cinematic plane. A number of sub-shots are presented with the set and character in full view, arranged against a flat background and shot head-on with the décor in parallel to the image plane, just like a silent movie. Many of the shots are parenthesized by vertical or horizontal bars of film grain that wipe across the screen. Father and daughter, themselves, resemble the monstrously mismatched prospectors of The Gold Rush (1925), eating a non-meal every day and the smaller one always drawing the shorter straw. This is compounded by the fact that the film is set in 1889, just about the time cinema came into being. Moreover, the two interruptions that disturb the routine of the silent family are marked by excessive talk and cacophony. The film begins with pure movement of cinema and ends in absolute stasis of photography. (It is telling, in this respect, that the only completely still shot of the film is the last one.) It is as though cinema, like the film’s world, has regressed into non-existence, from broad daylight to total darkness. Judge him, but this affinity for depicting disintegration to rubble has permeated Béla Tarr’s filmography. In a way, each of his film is a document of structural destruction: of urban spaces (Family Nest, 1979), of the modern family (Prefab People, 1982), of society (Almanac of Fall, 1985), of political machinery (Satantango, 1994), of civility (Damnation, 1988) and of civilization (Prologue, 2004). The Turin Horse takes the logic further and locates itself at the probable end of humanity itself. If Tarr’s latest work appears to lack the analytical rigour or satirical edge of his previous films, it is because it distills key ideas of these earlier films into a highly abstract conceptual examination devoid of urgency and pointedness. Looking at the director’s oeuvre, one can see this coming. Tarr started with very topical, socially critical films made in vérité aesthetic. Realizing that surface realism could only get him this far, he took a stylistic as well as epistemological break with Almanac of Fall, after which, instead of recording reality as it appears, he dealt with increasingly abstracted forms removed from everyday experience and a philosophy that replaced materialism with metaphysics. Such departicularization is the modus operandi of The Turin Horse. The film systematically removes any trace of specificity from within it and builds an extremely generic framework that one can liken to the confident broad strokes of a paintbrush. Such sucking away of particulars would have been fatal in a film with concrete political ambition. But The Turin Horse, in contrast, works in a philosophical and cinematic realm so rarified that such distillation seems tailor made for it. Beyond the very specific opening story (Who: Friedrich Nietzsche; Where: Door No. 6, Via Carlo Alberto, Turin; When: January 3rd, 1889), we are not sure about any narrative detail. The place could be Turin, or not. The year could be 1889, or not. It could be autumn, or not. The long monologue that the first visitor delivers is what Pauline Kael would call a Christmas tree speech: you can hang all your allegories on it. What is the threat he is talking about? Why is the town ruined? Who are “they”? We don’t get any answer. If, at all, Tarr makes another film and intends to take the idea further, he’s, in all possibility, going to find himself in the realm of pure avant-garde, with nothing concrete to hold on to except the truth of photography. Undoubtedly, Tarr is as cynical as filmmakers can get. His cynicism, like Kubrick’s, is the cynicism of great art, to borrow a sentence from Rivette. But with The Turin Horse, Tarr seems to have punched through to the zone beyond. We have, here, entered the realm of the absurd, where cynicism itself is rendered impotent. In this film, doom is a given, inevitable. Instead of charting people’s downward spiral into the abyss as in the previous films, Tarr and team observe with resignation the insularity of people from their situation. Foreboding gives way to fatalism, cynicism to amusement. Robert Koehler correctly compares the film to the works of Samuel Beckett and The Turin Horse is a veritable adaptation of Waiting for Godot (1953). Right from the lone tree on hill top, through the dilemmas of vegetable eating, the sudden logorrhea of a stranger, the perpetually cyclical nature of events, to the ritualization of actions, especially the changing of apparels, Tarr’s incomplete tragicomedy in 30 shots echoes Beckett’s incomplete tragicomedy in two acts. Like Beckett’s bickering pair, or Buñuel’s angels, father and daughter find themselves unable to leave the house for some reason. And like Vladmir and Estragon, or Pinky and Brain (“Tomorrow we’ll try again”), the two– stuck in their house for eternity with only each other to stand witness for their existence – sit by the window everyday gazing at, or waiting for, a Godot that could be anything ranging from revolution to death. But there are two key cinematic predecessors to The Turin Horse as well. The first of them, Chantal Akerman’s Jeanne Dielman (1976), lends Tarr’s film its finely spiral structure, in which a continuous process of disintegration is made palpable by minute changes in what appear to be unchangeable routines. Like in Jeanne Dielman, another film with an inclination for culinary detailing, the aquarium-like world of the characters is pierced by changes in the outside world, leading to their downfall. Then there is Sohrab Shahid Saless’ Still Life (1974) with which The Turin Horse not only shares its strong comic undercurrent, but also the idea of rendering chronology and the passing of time irrelevant by making it go in loops; the eternal return if you will. But, unlike the makers of these two films, Tarr filters his film from any direct comment on contemporary social organization. (Akerman and Saless, on the other hand, are keenly focused on the issue of urban and rural alienation). But what these films, most critically, share is an acute eye for everyday details, for minor behavioral and physical variations and an unshakeable faith on inescapable specificity of the photographic image.